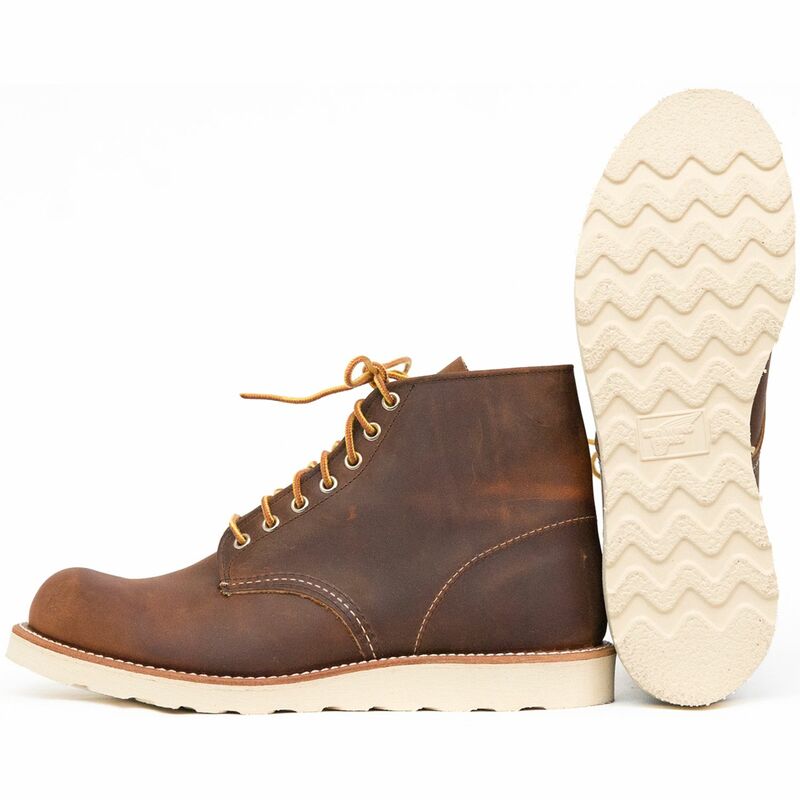 Inspired by our classic work boots, the round toe design uses one piece of leather versus two to form the work boot toe. As seams are the weakest point of a work boot, eliminating the need to stitch two pieces of leather made an already tough boot even tougher. Classic white soles and Red Wing signature leathers complete the unique look.